Last week, a friend from work asked me if the glasses I’m wearing in my blog photo were meant to make me appear more “bloggy.” I laughed, turned red, and simply answered, no, they are not. Even though I’ve always wanted glasses in real life, I don’t actually wear them – the ones from the photo were bought as a joke, to accentuate my costume for our school’s “Freaks & Geeks Party” – it was obviously a huge success. But now, as I sit in Starbucks, drinking my mocha, swaying obliviously to the instrumental jazz music in the background, I certainly feel much more “bloggy”. Hmm, let’s hope this becomes some sort of a routine. Moving on. Earphones plugged in. Now playing, Pandora music station of Symphonic – Classical, AKA: my favorite type of music to listen to while I write. Per my last post on “damn good food” and my so-called “resolution” to only eat damn good food, I thought I would share how I spent this past Saturday. Without even knowing it, the day quickly turned into the first entry on what will hopefully become a weekly routine of eating & sharing my damn good food experiences. Unlike any other Saturday in my entire life, I was up at 8:30 AM. Why? Not out of pure pleasure, I can assure you. My mom, my friend Fern and I were attending a lecture hosted by Joan Reardon, a Chicago-based author, foodie and longtime friend of Julia Child. Joan recently wrote a book titled, “As Always Julia – The Letters of Julia Child & Avis DeVoto” and was to share her story, excerpts and answer questions based off this great novel. The lecture was very interesting, especially given the fact that Fern and I were easily the youngest one’s there (sorry Mom, I love you like crazy). If you’ve seen the movie, Julia & Julia, you may recognize the name Avis DeVoto, who was a friend/literary agent of Julia’s who over the years while Julia and Paul Child were living in Paris, pen-pal’d with Julia and eventually helped Julia’s book “Mastering The Art of French Cooking,” get published. Long story short, Joan Reardon collected all of the letters between the two and published them into a book. After the lecture came brunch. In the foodie spirit, we decided to tackle the restaurant Prairie Fire, which boasts a glorious menu, in particular, the famous & critically reviewed, lemon ricotta pancakes. I was hooked. As we cozied into our massive half-moon booth, I scanned the menu, unable to decide. 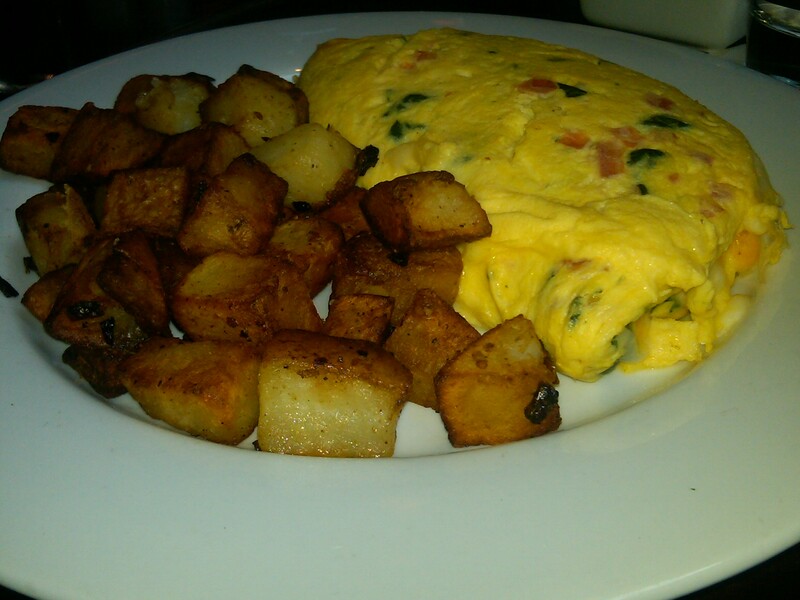 Create your own omlette – or lemon ricotta pancakes? But then, the heavens sang – Waffles with Valrhona Chocolate & Whipped Cream. Doesn’t that sound damn good? Well, it sounded damn great, but much to my glaring mother’s eye and the evil voice recording I now have permanently stuck in my head (“Eat healthy Allana, where’s the protein, Allana?”), I went with the omlette. Next time, sans Robyn, I’m getting the waffles. So even though I went healthy, Robyn just had to have the pancakes. What about the protein Robyn, what about eating healthy?! 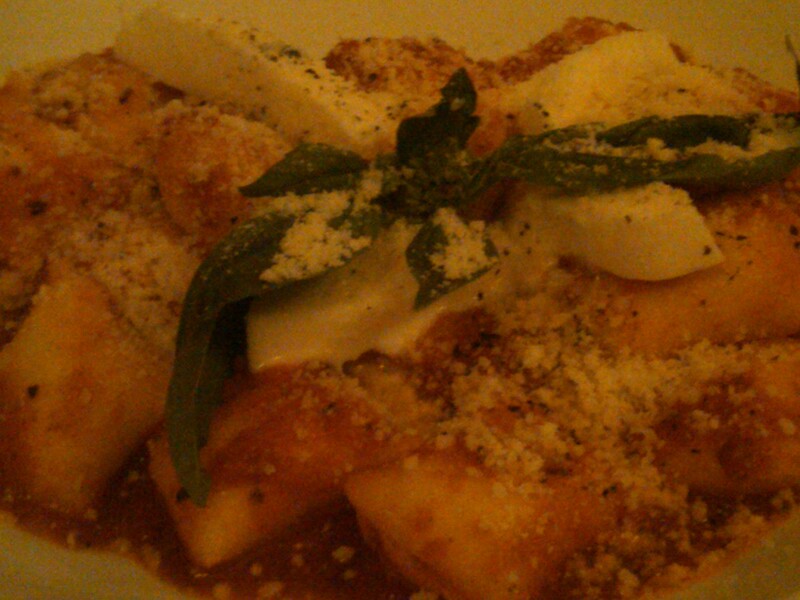 Well, that flew out the window as soon as I tried these heavenly pillows of ricotta goodness. 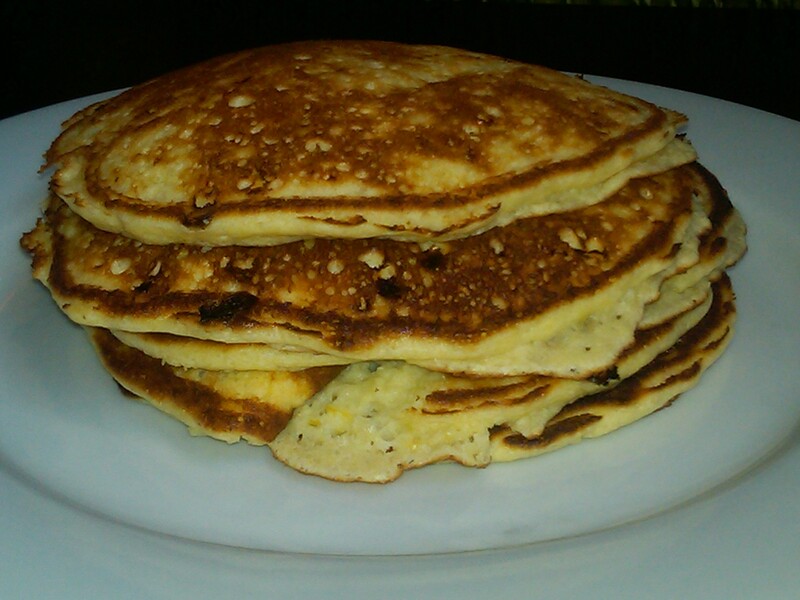 Lemon-Ricotta Pancakes from Prairie Fire, Chicago. A couple of hours and a short cat nap later, I was ready for Mortell family dinner, a rare and special occassion to commemorate Matt’s break ending & return to University of Iowa. We chose Trattoria Gianni, a quaint Italian restaurant in Lincoln Park that my parents often frequented twenty some years ago, before us kids came around. Now, if you know my family, particularly my Dad, you know a night out with him, especially, is always a special treat. It began instantly, five seconds after we opened the restaurant doors. The owner came over to greet my Dad, whom he recognized from 20 years before. (Keep in my mind my Dad looks the exact same as he did 20 years ago, just a little bit … older) So, the owner is graciously shaking his hand, telling him how great it is to see him again, and so on. My dad, who recently lost his hearing in his left ear, misunderstands or simply, doesn’t hear. What does the old man do? He hands the owner his damn coat. I first look at the owner, who is obviously confused, I then look at my mom and then my brother. Biting my lip, trying so hard not to laugh, I grab the coat and defuse the situation. As we lovingly tease Dad, he confesses he didn’t hear a damn thing the owner was saying. Poor Dad, I love you like crazy! Food, onward! Let me preface this by saying my dad also ordered his own gelato. 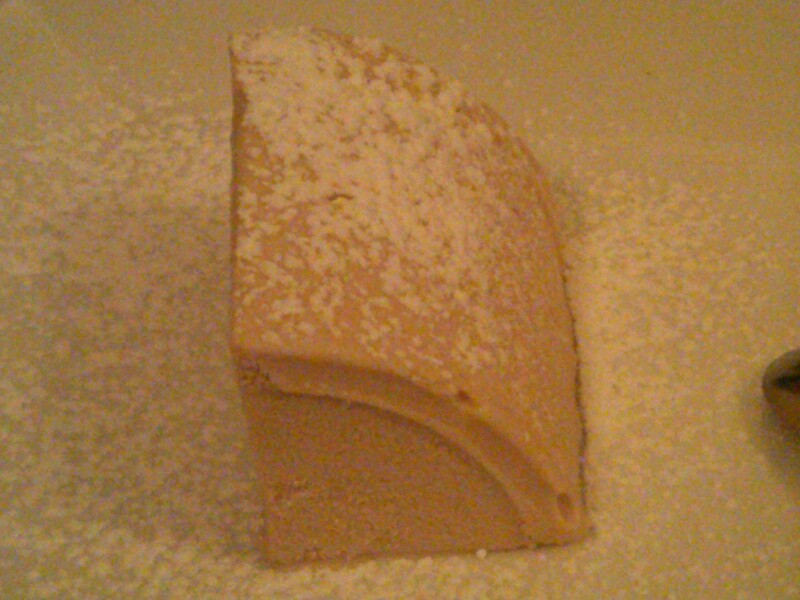 And the owner also sent over a vanilla-bean, carmel covered panna cotta. So, in retrospect, we had ordered enough dessert to feed every, single person at the table. Yet, somehow, halfway into my gelato-induced haze, I eye my dad’s spoon covertly digging into the side of my plate. Am I surprised he mooched onto my dessert? Not at all. This is the man who dug into my mom’s only slice of key lime pie she had brought home from a restaurant, leaving only the crumbs for her to eat. Ouch. In between sips of Moscato dessert wine, my dad tells me urgently, “Don’t worry Lan, you can finish it.” Hold the phone! Isn’t this my dessert? I laugh, and tell him to keep his knife to himself while I run to the bathroom. Three minutes later I return to an empty plate and one very guilty face. 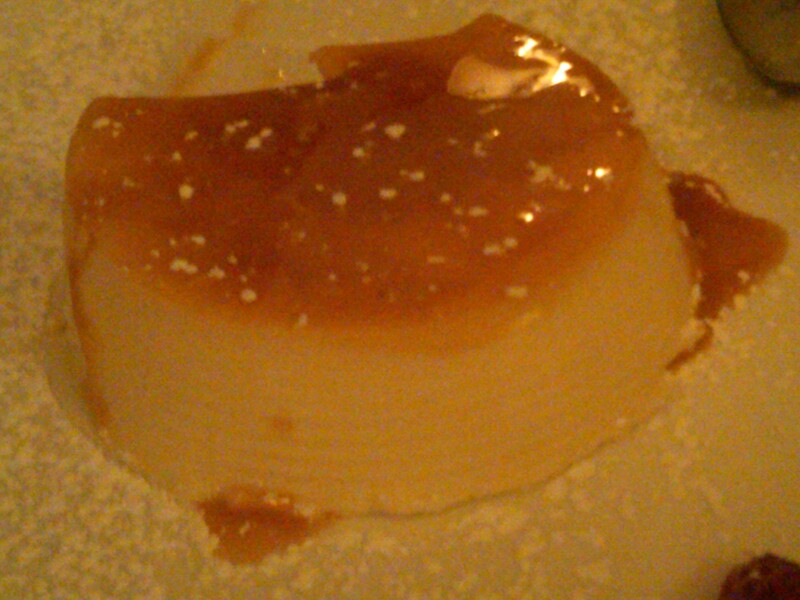 At least we still had some panna cotta left – my dad was supposedly “too full” to mooch. Carmel Vanilla Goodness - and the only dessert left on the table. I spent the rest of my Saturday night on my couch, too full to even comprehend going out dancing or even consuming a single drink. Despite the awful movie I later turned on that featured Luke from the O.C. attempting an awful, cringe-inducing British accent, it was truly, the most fabulous, embarassing father, foodie Saurday I could ever have hoped for.